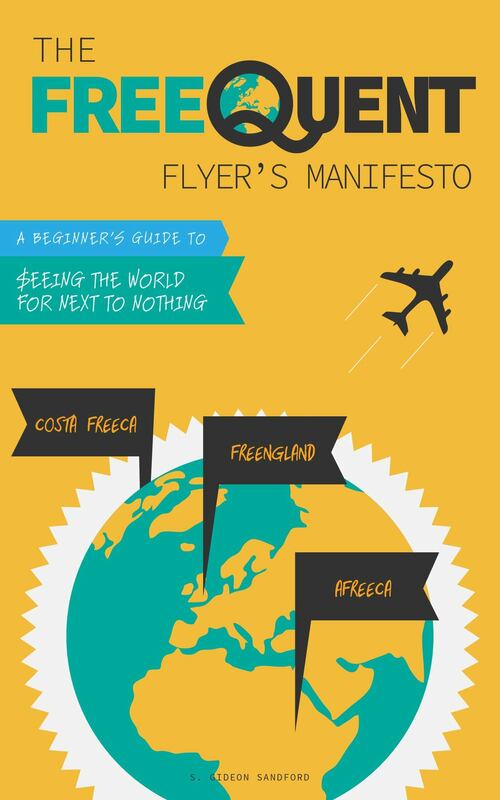 The Free-quent Flyer blog, where you find all the tips and tricks you need to see the world like I do, for next to nothing! Disclosure: to the best of my knowledge, the only remuneration I receive for any of the content on this site is through my personal referral links, my Amazon Associates referral link, the Google Adsense ads found in the righthand sidebar, and my blog subscribers, who also receive my occasional subscribers-only newsletter. You can find all my personal referral links on my Support the Site! page. Should you use super-premium cards to pay for airfare through manufactured spend? A few months back I wrote a breakdown of three cards which earn bonused flexible points currencies at gas stations: the Chase Ink Plus (and Bold), Citi ThankYou Premier (as of April 19, 2015), and American Express Amex EveryDay Preferred. While flexible points are terrific for short-haul Avios redemptions and long-haul premium cabin redemptions, I also like to remind readers that sometimes it makes sense to fly on revenue tickets. With the announcement of a new, 30% rebate on "Pay with Points" tickets purchased through the American Express Business Platinum card (via Twitter user @LoyalUA1K), I thought I'd revisit the subject with gas station manufactured spend squarely in mind. Chase Ink Plus/Bold. Earns 2 Ultimate Rewards points per dollar spent at gas stations, on up to $50,000 in annual gas station purchases. Points can be redeemed for paid airfare at 1.25 cents each. $95 annual fee. US Bank Flexperks Travel Rewards. Earns 2 Flexpoints per dollar spent at gas stations, if you spend more at gas stations than at grocery stores or on airline tickets during that statement cycle. $49 annual fee, which can be waived if you spend $24,000 during the cardmember year. Citi ThankYou Premier and Prestige. Earn 3 ThankYou points per dollar spent with the ThankYou Premier, and redeem them through the ThankYou Prestige for 1.6 cents each for tickets issued by American Airlines and US Airways or 1.3 cents each for tickets issued by other carriers. $95 annual fee for ThankYou Premier and $450 annual fee for Prestige (a $350 annual fee version may be available in-branch, although getting it sounds stressful). American Express Amex EveryDay Preferred and Business Platinum. Earn 3 Membership Rewards points per dollar spent with the EveryDay Preferred (as long as you make 30 purchases per month), and redeem them through American Express Travel using the Business Platinum card for roughly 1.43 cents each on the same airline you designate for your $200 annual fee reimbursement. $95 annual fee for EveryDay Preferred and $450 annual fee for Business Platinum. Now I know what you're thinking: "Free-quent Flyer, can't you show the same information in a simple chart?" How much paid airfare makes premium card annual fees worth paying? Anyone who's followed my blog for long knows what I think about annual airline fee credits: they're a way for affiliate bloggers to downplay preposterously high annual fees and move more product. Since I'm not an affiliate blogger and don't have a dog in that hunt, I treat credit card annual fees the same way I suggest my readers do: as upfront expenses that have to be justified by the concrete value delivered by a card. By concrete value, in this case I mean the actual surplus delivered by a premium card compared to a workhorse like the Flexperks Travel Rewards card. As the chart above shows, the minimum value of a dollar of gas station manufactured spend with the Citi ThankYou Premier and Prestige combination is almost as much as the maximum value of a dollar manufactured with the Flexperks Travel Rewards card, and assuming you're loyal to American Airlines and US Airways, you'll receive a minimum of 0.8 cents more per dollar. With the American Express Amex EveryDay Preferred and Business Platinum combination, you'll only want to redeem Membership Rewards points for airfare on your preferred carrier, since almost all other "Pay with Points" redemptions (except for sub-$300 airfares) will be worse values than a Flexpoint redemption. On the other hand, those card combinations come with hefty annual fees, meaning that any surplus value earned on the redemption side compared to cheaper cards has to exceed the difference in upfront costs in the form of annual fees. To arrive at that breakeven point, first we need to find a reasonable valuation for Flexpoints, which can be redeemed in bands at 10,000 Flexpoint intervals. While it's tempting to take a simple average of the top and bottom of each redemption band (i.e. 1.67 cents per Flexpoint), in my experience it's possible to consistently land closer to the top of that range. That being the case, let's use a point three quarters of the way from the bottom, or 1.83 cents per Flexpoint (e.g. a $367, 20,000 Flexpoint redemption). Citi ThankYou Premier and Prestige. $8,856 at other airlines ($227,083 in annual gas station manufactured spend). American Express Amex EveryDay Preferred and Business Platinum. $3,711 with your designated airline ($86,508 in annual gas station manufactured spend). I'm perfectly aware that these cards offer redemption options that can be more lucrative than redeeming points for airfare at privileged rates. In fact, I wrote a whole blog post comparing their transfer partners in each alliance. I'm further aware that the super-premium $450-annual-fee cards offer benefits like lounge access, airline fee credits, and Global Entry fee reimbursement. So any readers who are inclined to hash out the value of those benefits are welcome to do so in the comments. But I am also certain that simply purchasing paid airline tickets is the single most common method of flying domestically for travel hackers and civilians alike, and an analysis of these cards along those lines was overdue.